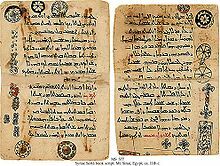 Historically, Aramaic was the language of the Arameans, a Semitic-speaking people of the region between the northern Levant and the northern Euphrates valley. 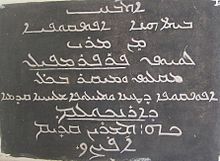 By around 1000 BC, the Arameans had a string of kingdoms in what is now part of western Syria. 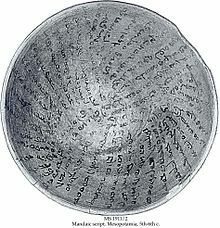 Aramaic rose to prominence under the Neo-Assyrian Empire (911–605 BC), under whose influence Aramaic became a prestige language, and its use spread throughout most of Mesopotamia and the Levant. 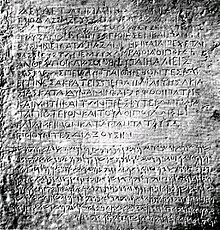 At its height, variants of Aramaic were spoken all over in what is today Iraq, Syria, Lebanon, Israel, Jordan, Kuwait, Eastern Arabia, Northern Arabia, and to a lesser extent parts of southeast and south central Turkey, and parts of northwest Iran. 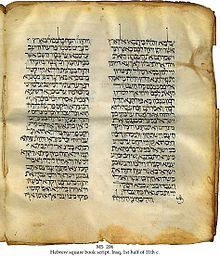 Aramaic was the language of Jesus, who spoke the Galilean dialect during his public ministry, as well as the language of large sections of the biblical books of Daniel and Ezra, and also one of the languages of the Talmud.